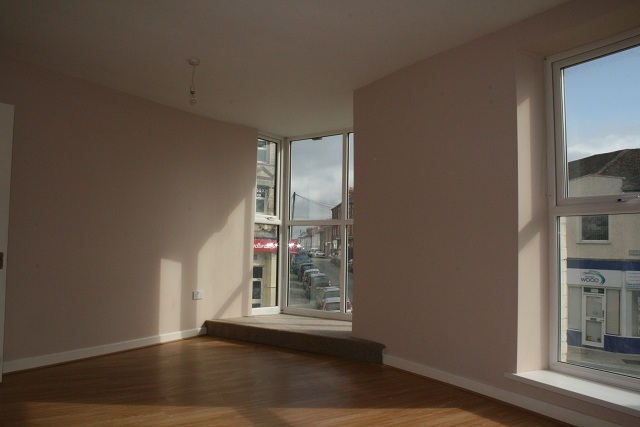 Your own front door leads you into this very spacious three bedroom apartment in the centre of Penarth. There are two double bedrooms as well as a single third bedroom. A large light kitchen and a very large bathroom are just some of the features of this apartment. The living room is very large, light and spacious and the light floods in from the large windows. No DSS, No smokers, No Pets Working professionals only. Location Location!!! In the centre of Penarth town with a coffee house, café, deli, post office and a butcher on your door step what more could you want. The town centre is less than 1 minute away with the large array of shops as well as excellent transport links.